Dr. Cody and Dr. Kaitlin demonstrate a resisted reach out for low back pain. Dr. Cody demonstrates a voodoo floss hack for better shoulder mobility! 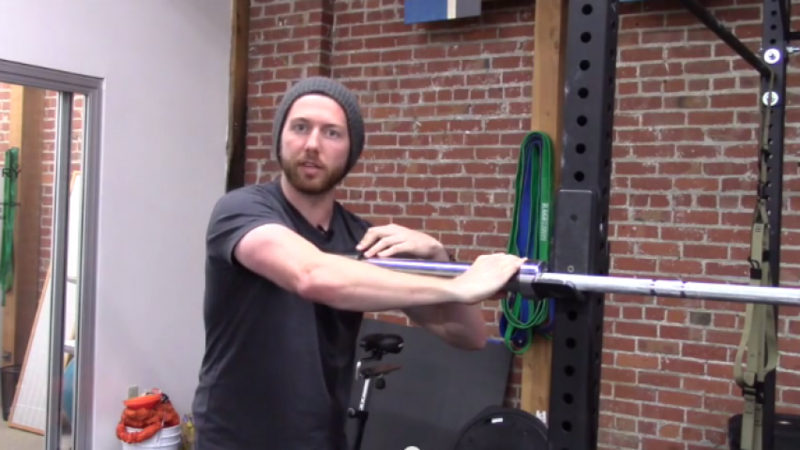 Shoulder mobility issues? 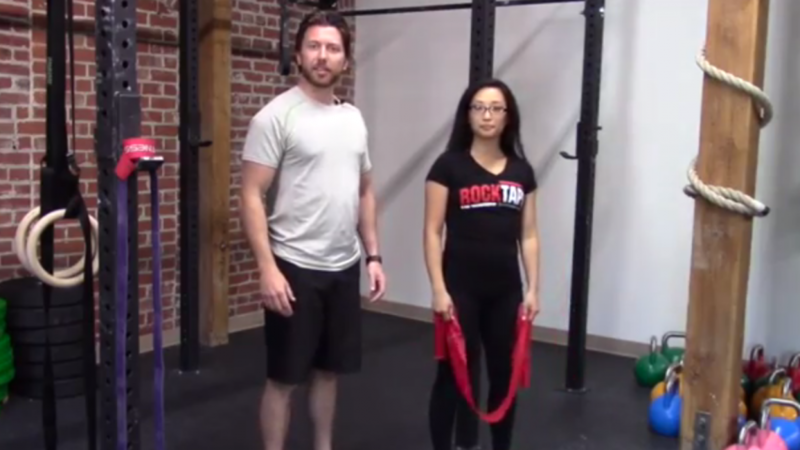 Trouble with overhead movements? Or just difficulty applying voodoo floss on your own shoulder? Dr. Cody demonstrates a voodoo floss hack for better shoulder mobility. Great news! We're excited to offer a variety of classes and events to better your health & happiness, such as: • 30 Day Fitness Challenges (with awesome prizes!) • Catered Social Nights (Free food, yay!) • Nutrition Seminars and Coaching And much more! Join our email list to get all the insider info on upcoming events and classes so you don't miss out! Dr. Fowler’s career in chiropractic started after enduring a traumatic snowboarding injury, fracturing and severely spraining much of his upper thoracic spine, as well as segments of his cervical spine. His Emergency Room prognosis was partial paralysis for up to six months. Seeking a second opinion, he was seen by a chiropractor – and walked out of their office the same night. He began his journey toward becoming a chiropractor shortly after. Cody took a special interest in working with athletes while majoring in Exercise Science at Central Washington University, where he had the privilege of working in a facility that gained him access to VO2 testing, muscle biopsy, hydrostatic body fat weighing and much more. Cody then continued his journey toward chiropractic, going to school while working as a personal trainer and rehabilitation specialist for clients ranging from motivated gym-goers to sedentary, obese individuals and elderly leukemia patients. He attended chiropractic college at Palmer Chiropractic College’s West Campus in San Jose, CA where he was involved in the Sports Council, Soft Tissue Club, Associated Student Government and more. Cody has been a personal trainer since 2006 and continues to use corrective & performance exercise training as an integral part of his patient care plans. He uses functional movement analysis combined with orthopedic and neurologic exams, to take an individualized, multi-faceted approach to increasing function and decreasing pain. Working with populations ranging from weekend warriors to amateur and professional athletes to the underserved children of Fiji, Dr. Fowler implements a unique care plan for each patient consisting of manual therapies, soft tissue work, exercise rehabilitation and home care prescriptions to ensure each patient has the potential to heal and maintain at their maximum. When not at Symmetry treating patients, Cody enjoys spending time outdoors- especially wakeboarding, hiking, going to the beach, and golfing. Having competed in Track and Swimming, he enjoys maintaining an active lifestyle, balancing his exercise routines between running, yoga, CrossFit, and whatever else may pose a healthy challenge. Dr. Kate Fox, DC, is a chiropractor who provides complete health care for the entire family. Dr. Fox specializes in women’s health care, including comprehensive treatments during puberty, pregnancy and menopause. She works with everything from low back pain to weight loss to menstrual complaints. Dr. Fox is a caring and supportive doctor who is passionate about helping her patients get on the path to optimal health. She received her Doctorate of Chiropractic degree from the University of Bridgeport College of Chiropractic, where she was valedictorian of her graduating class. She holds a bachelor’s degree in natural sciences and mathematics as part of her pre-med training. Dr. Fox’s knowledge and strong clinical background enable her to provide you with healthcare options that go beyond typical chiropractic care. She explores various factors that may impact your health to determine the root cause of your condition. Then, based on your specific needs, she creates an individualized treatment plan that may include therapies ranging from chiropractic adjustments to herbal medicine to homeopathy to advanced laboratory testing. Dr. Fox is certified in craniosacral therapy and the Webster technique. The Webster technique is a specific pregnancy-related chiropractic analysis and adjustment that reduces intrauterine constraint, and allows the baby to get into the best position for birth. She is a past board member and education committee chair for Bay Area Birth Information (BABI), an organization of birth professionals promoting mother and baby friendly healthcare. Her clinical experience includes 18 months of traditional chiropractic clinical rounds and 5 months of OB/GYN clinical rounds at the Norwalk Community Health Center. She has also studied with national experts in biomechanics and physical rehabilitation as well as women’s healthcare. She established Los Gatos Chiropractic & Wellness Center in 2004 after working at Chiropractic and Rehabilitation on Main, LLC in East Hartford, CT. She is now excited to be working with Symmetry Sports Therapy, one of the best places to find a chiropractor in Los Gatos. Dr. Golden is an avid athlete who has competed his entire life in many different sports including Wrestling, Rugby, Olympic Weightlifting, Capoeira, Judo, Trail Running and Indoor Rock Climbing. He became a chiropractor because he believes that movement is the basis of health and a healthy lifestyle; and maximizing your ability to move pain free and being active is the key to optimizing your health – allowing the opportunity to be the happiest, healthiest you that you can be. As a chiropractor, Kevin has had the opportunity to provide care for elite and non-elite athletes alike from Professional Triathlete’s, Olympic Level Weightlifters, Professional Powerlifters, Professional Cyclists, Professional runners, NCAA, Military and Law Enforcement Professionals, Professional Crossfitters and Grid Athletes, Pop-Warner football, Weekend warriors, and those just trying to improve their health. He has also been an attending physician at elite level sporting events including The Ironman World Championships in Kona, and The North Face Endurance Challenge, The Sea Otter Classic, and The Pacific Weightlifting Association Championships.